Lydia Sampson is the Technical Services Department Head at the Morrill Memorial Library. Read her column in the May 31, 2018 edition of the Norwood Transcript and Bulletin. I already admitted to my true crime addiction in my May 3rd column/confession. The genre generally refers to murders, assaults, kidnappings and the stuff of Investigation Discovery programs. Although it’s hard to imagine worse crimes than these, victims throughout history have experienced such horrors on a grand scale: genocides, torture, ethnic cleansing. Grim as it may sound, my non-fiction leanings extend into the realm of some of the most disturbing events in modern history. A book that impacted me deeply, for example, bears the shockingly candid title, We Wish to Inform You That Tomorrow We Will Be Killed With Our Families: Stories From Rwanda, by Philip Gourevitch. I learned about U.S. history and “Western Civ.” in school, with a cursory overview of “World History.” College taught me more about non-Western cultures, art and religion. As a working-class girl at a liberal arts college, I met people from all walks of life, and continued to do so after graduating, developing a passion for travel, and working at another liberal arts college for many years. As my curiosity about history, global inequity, and other cultures increased, I read The Fear: Robert Mugabe and the Martyrdom of Zimbabwe, by Peter Godwin, and Sonia Nazario’s Enrique’s Journey, about a desperate Honduran child’s perilous experience riding the “train of death” on a quest to reunite with his mother. Tim Butcher’s Blood River: A Journey to Africa’s Broken Heart, broke my heart indeed, as did King Leopold’s Ghost, by Adam Hochschild, with their historical and modern accounts of the Congo. Many people have read the classics, Anne Frank: The Diary of a Young Girl, and the graphic (non-fiction) novels Maus I and Maus II, bearing witness to accounts of Holocaust survivors. 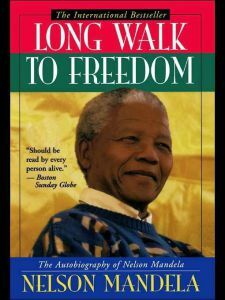 I recommend additional autobiographical books such as Nelson Mandela’s Long Walk to Freedom, or the film by the same name, I, Rigoberta Menchu: An Indian Woman in Guatemala, and Giaconda Belli’s The Country Under My Skin, her memoir of the Sandinista/Contra war and the revolution in Nicaragua. I gravitate toward material on certain countries and occurrences, but a quick search of the library catalog reveals no shortage of true-war-crime reading and viewing options focused on Asia, Australia, the former Soviet Union, and of course the United States too. Unfortunately, every inhabited part of the world has experienced tragedy and injustice. I understand that many avid readers seek to escape everyday life, often with the help of Hobbits, aliens, or fictional characters embarking on adventures and falling in love. I have nothing against sci-fi, historical fiction, mysteries, or even the guilty-pleasure romance genre. Why then, do I become engrossed in morbid tales of man’s injustice to man? Inspiration: While millions have perished in wars and genocides, some who survived have written their memoirs and documented atrocities. 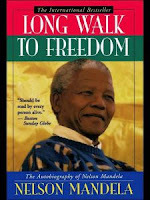 It amazes me that Nelson Mandela endured Apartheid and Robbin Island in South Africa. In spite of enormous struggles, Rigoberta Menchu became an activist and change agent. I admire Holocaust survivors for preserving the memory of those who met a different fate. True stories of heroes and people who overcame adversity inspire me to advocate for human rights and to persevere in my own times of trouble, which pale in comparison to what others have gone through. Perspective: Like anyone else, I complain about mosquitoes, traffic, and long lines at the post office. Fortunately, I’ve never faced unjust imprisonment. Police have never turned dogs or hoses on me. My father immigrated to the U.S. as a war refugee, but in my lifetime no one has forced my family to flee our home or our country. True stories of terrible events remind me to practice empathy, express gratitude, and try not to take for granted how lucky I am.